After reading the account in 3 Nephi of Jesus giving his disciples “power to baptize” (3 Nephi 11:21–22), Joseph Smith and Oliver Cowdery sought to know how they could receive that authority for themselves. In May 1829, they knelt by the Susquehanna River and in answer to their prayers, John the Baptist appeared and conferred upon them the Aaronic Priesthood.1 Not long afterward, the Melchizedek Priesthood was also restored. Following the official organization of the Church on April 6, 1830, the Lord began to gradually reveal guidelines regarding the specific offices of the priesthood. He explained the roles of apostles, elders, priests, teachers, and deacons in April 1830 (Doctrine and Covenants 20:38–60). He then explained the role of bishops in February 1831 (Doctrine and Covenants 41:9–10), high priests in June 1831 (Doctrine and Covenants 52, heading), patriarchs in December 1833,2 and Seventies in 1835 (Doctrine and Covenants 107:23–24). 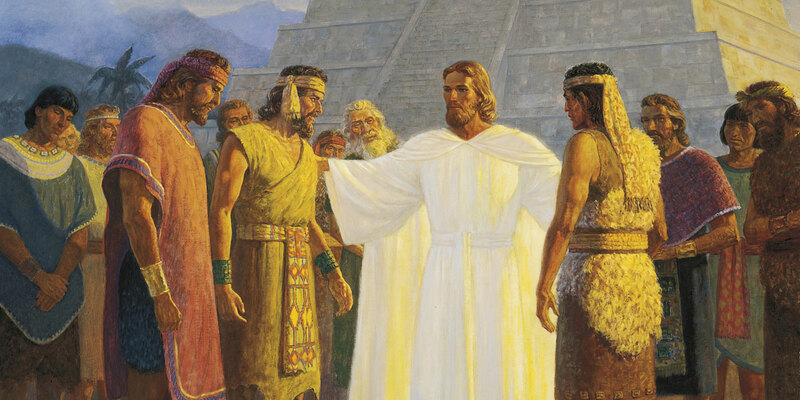 Perhaps the most significant description of priesthood orders and offices in the Book of Mormon is in Alma 13, which may have informed Joseph Smith's understanding of the origins of the term Melchizedek Priesthood. Alma explained that priests were called and ordained to “the high priesthood according to the holy order of God” (Alma 13:6, 18) or God’s “holy order, which was after the order of his Son” (Alma 13:1). Although Alma does not call this “holy order” the Melchizedek Priesthood, as it is called today, he does explain that Melchizedek “was also a high priest after this same order” of the “high priesthood” (Alma 13:14). 1. See Joseph F. Darowski and James Goldberg, “Restoring the Ancient Order (D&C 102, 107),” Revelations in Context, October 3, 2013, online at history.lds.org. See also Doctrine and Covenants 13; Book of Mormon Central, “Why Did Joseph and Oliver Seek Authority to Baptize? (3 Nephi 11:24–25),” KnoWhy 279 (February 4, 2017). 2. Joseph Smith Jr., Teachings of the Prophet Joseph Smith, compiled by Joseph Fielding Smith (Salt Lake City, UT: Deseret Book, 1976), 38–39. 3. Scott H. Faulring, “The Book of Mormon: A Blueprint for Organizing the Church,” Journal of Book of Mormon Studies 7, no. 1 (1998): 63. 4. See Book of Mormon Central, “Why Did the Lord Quote the Book of Mormon When Reestablishing the Church? (3 Nephi 11:24),” KnoWhy 282 (March 3, 2017); Scott H. Faulring, “An Examination of the 1829 ‘Articles of the Church of Christ’ in Relation to Section 20 of the Doctrine and Covenants,” BYU Studies 43, no. 4 (2004): 64; John W. Welch, “The Book of Mormon as the Keystone of Church Administration,” Religious Educator 12, no. 2 (2011): 90. 5. See, for example, Mosiah 6:3; 18:18. 6. See Rodney Turner, “The Three Nephite Churches of Christ,” in The Book of Mormon: The Keystone Scripture, ed. Paul R. Cheesman (Provo, UT: Religious Studies Center, Brigham Young University, 1988), 91–99. 7. “History, 1838–1856, volume C-1 [2 November 1838–31 July 1842],” p. 1282, The Joseph Smith Papers, accessed May 4, 2017. 8. Joseph Fielding McConkie, “Priesthood among the Nephites,” Book of Mormon Reference Companion, ed. Dennis L. Largey (Salt Lake City, UT: Deseret Book, 2003), 656. 9. Joseph Fielding Smith, Answers to Gospel Questions, ed. Joseph Fielding Smith Jr., 5 vols. (Salt Lake City, UT: Deseret Book, 1957–1966), 1:126. There are, naturally, differences between the offices and functions of the priesthood in the Nephite dispensation and the current one. For more on this, see Book of Mormon Central, “What Does the Book of Mormon Teach about the Priesthood? (Mosiah 23:17),” KnoWhy 289 (March 20, 2017).